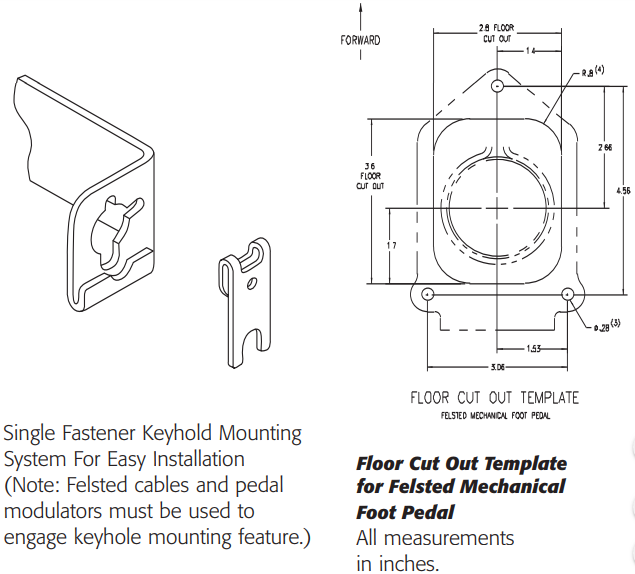 The Felsted foot pedal is the heavy-duty choice for trucks, buses, agricultural equipment, construction equipment, and virtually all other applications that call for a foot operated control. That’s because its rugged steel stamping construction offers far greater rigidity, durability, and reliability than aluminum die castings. 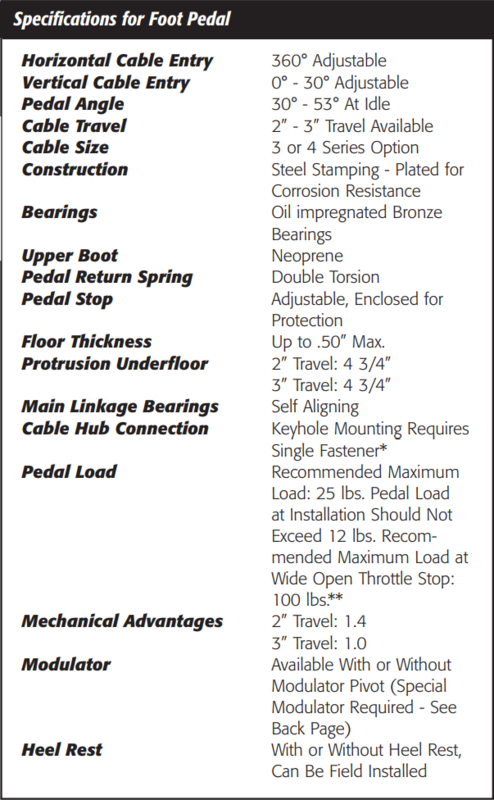 And because it’s designed with oil impregnated bronze bearings that won’t wear out like nylon bearings. For ease of installation, it bolts to the floor with three point mounting and incorporates a unique keyhole mount for the cable hub that requires only a single fastener. For flexibility, it has 360° adjustability for cable entry, is available with either two-inch or three-inch travel, and either three or four series cable. 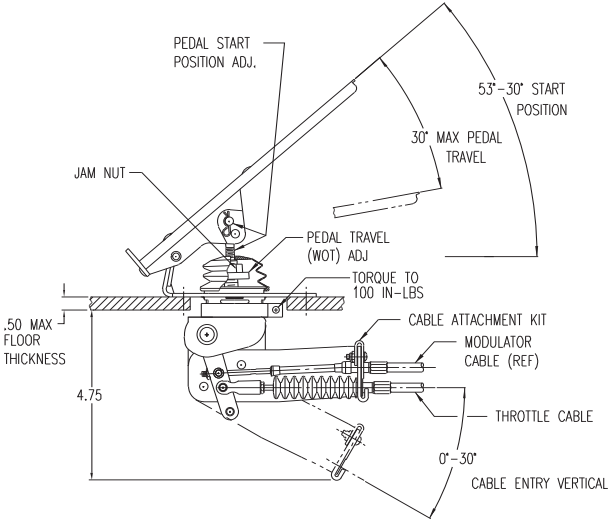 And for even greater flexibility, you can connect a modulator to the pedal, eliminating the need for cumbersome linkages to the engine governor. Other features include a self-cleaning boot that deflects dirt and debris, a double torsion pedal return spring, adjustable pedal height, and a factory assembled heel rest. 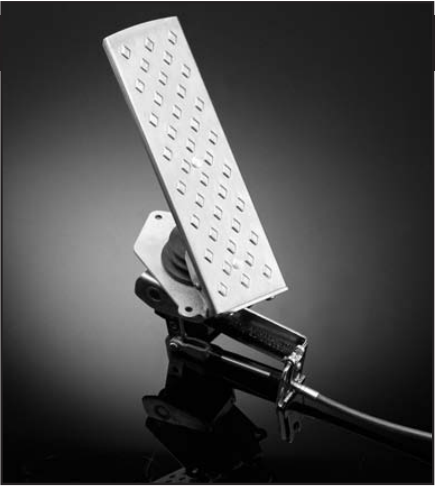 When used with Felsted cables and modulators, the Felsted Foot Pedal gives you a complete system you can rely on. Ordering the foot pedal that meets your needs is not difficult. Simply follow the instructions below to create the assembly part number. The first five numbers will be followed by three numbers that are chosen from the charts below. 1. Choose either a 2” or 3” Travel. This number is your BASIC NUMBER. 2. Choose the appropriate options from charts 1, 2, and 3. 3. Place each option number that you have chosen into its corresponding colored box. These create your ASSEMBLY CODE. 4. Combine all eight numbers to create the ASSEMBLY PART NUMBER.